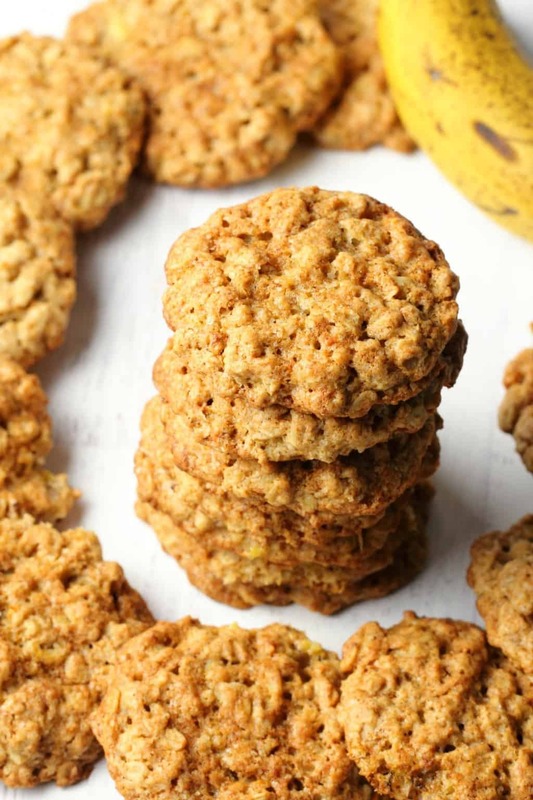 These banana oatmeal cookies are basically breakfast in cookie form! A super delicious breakfast in cookie form, but that’s what they’ll remind you of. 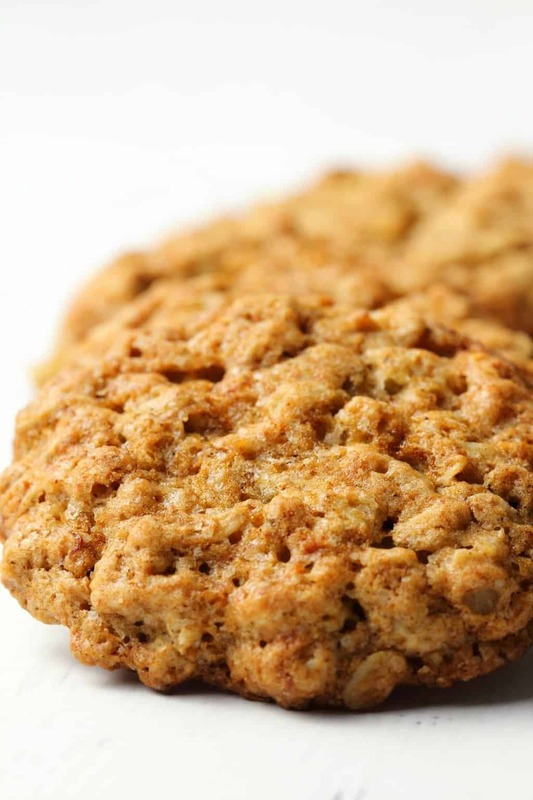 It’s that flavor blend of oatmeal with banana, cinnamon and cloves, brown sugar and vanilla. 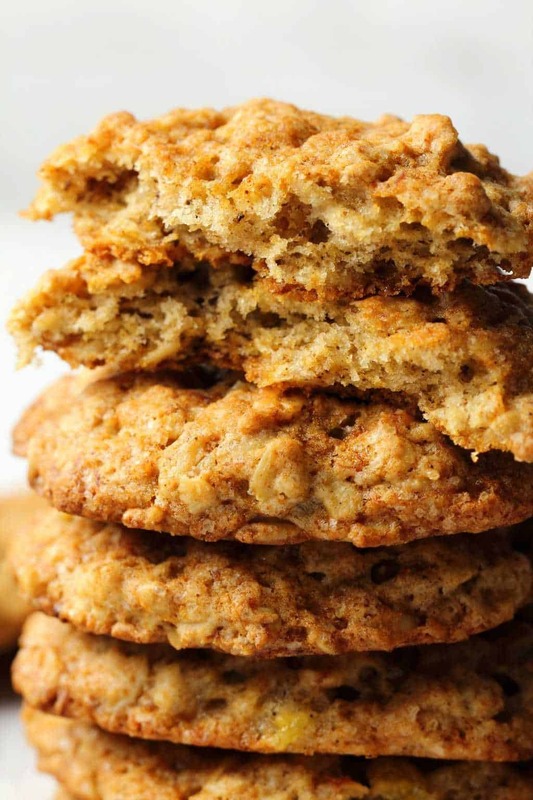 The only problem you’ll have with these cookies is that you’ll want to eat them all day long! 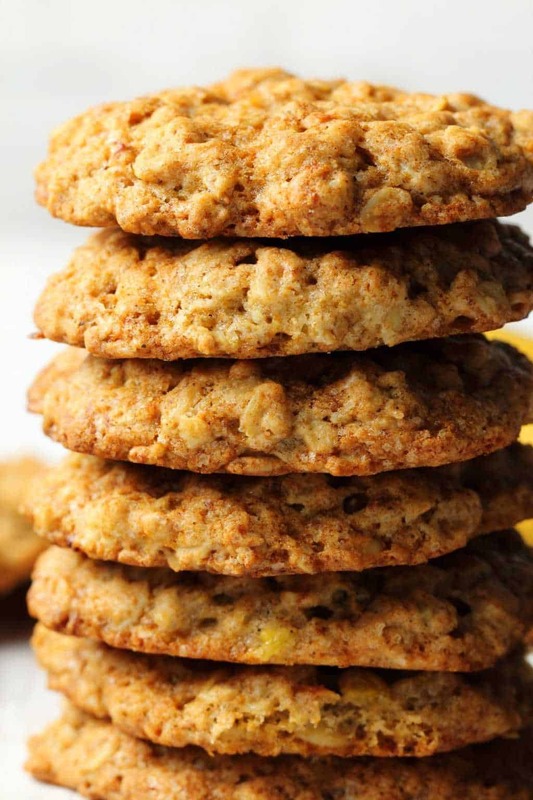 Not to mention the heavenly smell when they’re baking…..
It’s pretty much worth it to make them just for that, before you’ve even had a bite….but you’ll definitely want to have a bite. 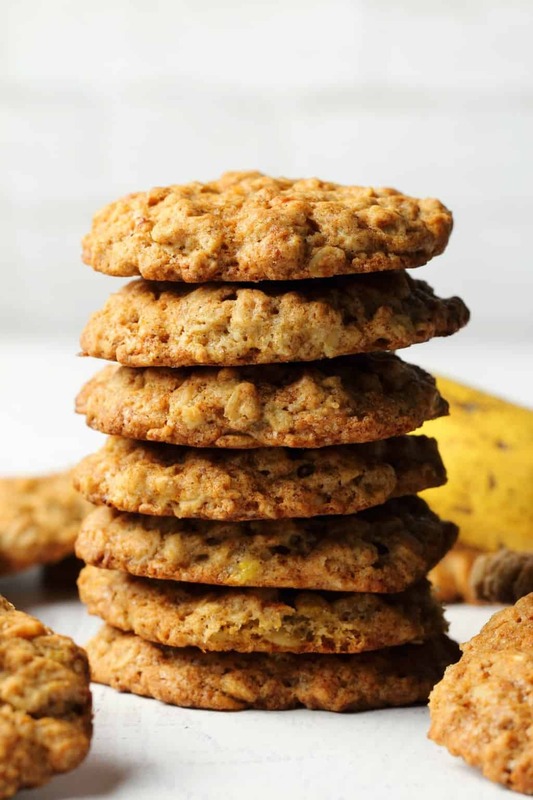 Ripe banana is key to the success of these cookies. Ripe means yellow everywhere and lots of spots. No green bits. This means the banana is more sugar than starch and this is what we need for this recipe. I used 1/2 cup of mashed banana in this recipe, which is roughly one large peeled banana. 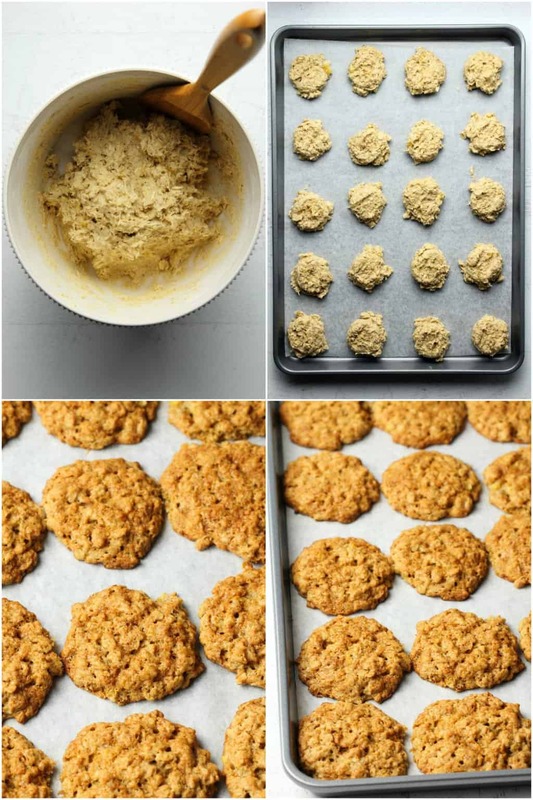 The batter is quite wet for these cookies, so you can’t use your hands to roll them into balls, use a cookie scoop instead. A cookie scoop and an ice cream scoop are the same thing. Wonderful when you can have multiple uses for things. Flatten them with a fork before baking. 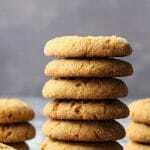 This results in the most even baking and best texture for these cookies. 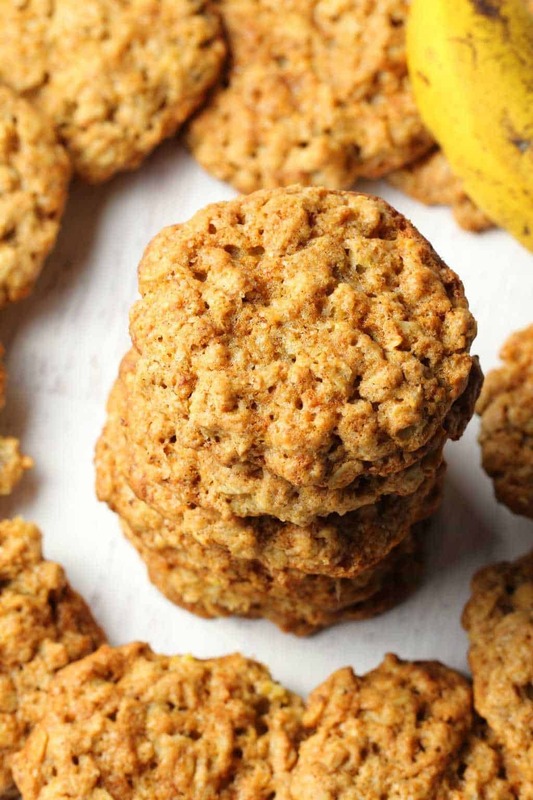 Weigh your flour, oatmeal and banana in this recipe for totally accurate results. 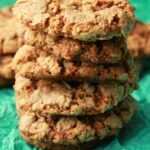 These banana oatmeal cookies are quite different in taste and texture to our classic vegan oatmeal cookies. 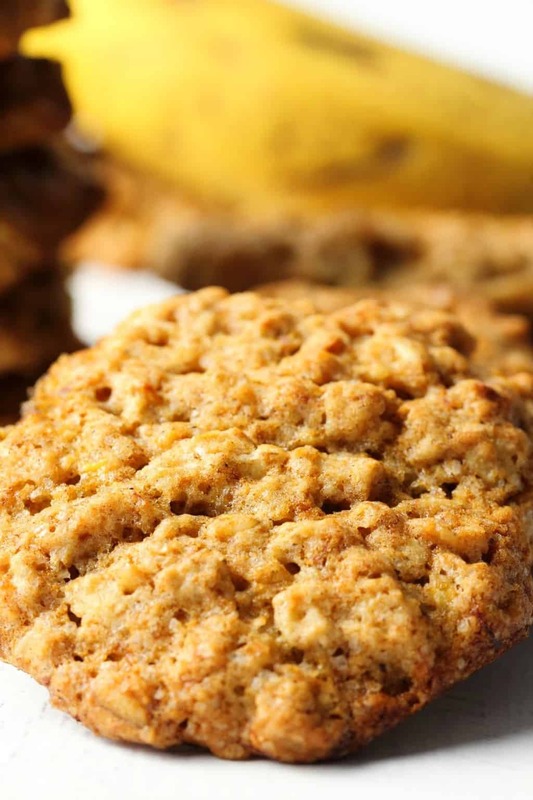 The banana flavor sets them apart, but so does the softness of the cookie. 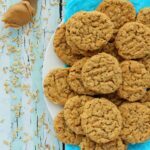 But if you love all things oatmeal, then you’ll love these cookies, as well as our other oatmeal cookie recipes like our vegan oatmeal chocolate chip cookies and our vegan oatmeal raisin cookies and let’s not forget our vegan peanut butter oatmeal cookies either. Can I make these gluten-free? You probably can. 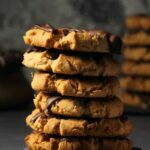 I have made other cookie recipes of mine gluten-free with just a simple switch to a gluten-free all purpose flour blend. And of course use gluten-free rolled oats if you’re doing it this way. I don’t foresee any issues, though I have not yet tested it this way. Keep them stored at room temperature (covered) and consume within a few days. 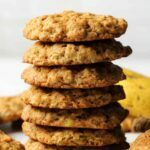 Let us know what you think of these gorgeous vegan banana oatmeal cookies in the comments and please rate the recipe too! Sign up to our email list before you go, we’ll send you a gorgeous recipe ebook containing 10 delicious vegan dinner recipes, and you’ll be the first to know whenever new recipes are posted to the blog. Hi Mora, in other cookie recipes we’ve done, people have successfully replaced the vegan butter with coconut oil. I have not tried it like that with these but I think it would work fine. 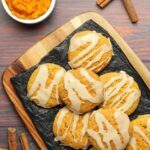 Otherwise you can make your own homemade vegan butter and that will definitely work great in these. 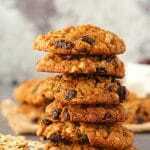 Anyway to make sugarfree cookies? Hi thank you for the recipe my cookies came out delicious but I did tweek it a bit so my batter was a bit dry so I added another 1/2 cup banana, i didn’t have cornstarch so I used arrowroot powder instead, I didn’t have clove so I used nutmeg, I used 100% white whole wheat flour instead of únbleached white flour, I added a little bit of dark chocolate chips, I baked 19 min instead of 15 min because I like the bottom more crispy. Sounds delicious! Thanks so much for sharing about your adjustments and for the great review Violet! This was tooo good! Whipped up a batch in no time with a mix of coconut and avacado oil. The only problem is, i need to bake a double batch next time!